When I was a little girl, my father liked to encourage us to watch movies that he liked. It had gotten to the point that there were particular movies that became traditions for us to watch during the summer. One of those movies is The Sound of Music. The film is a classic that was filmed in 1965 and is an adaptation of the musical by Rodgers and Hammerstein. It is based on a true story about a young nun who is sent to become a governess to the children of a widower. The movie has been a part of my family since I was a child, and I am happy to share that it is still a part of my family now that I have nieces and nephews who have also seen and loved the movie no matter how old it actually is. I remember thinking that I couldn’t wait to be sixteen going on seventeen to sing that one particular song in the movie. 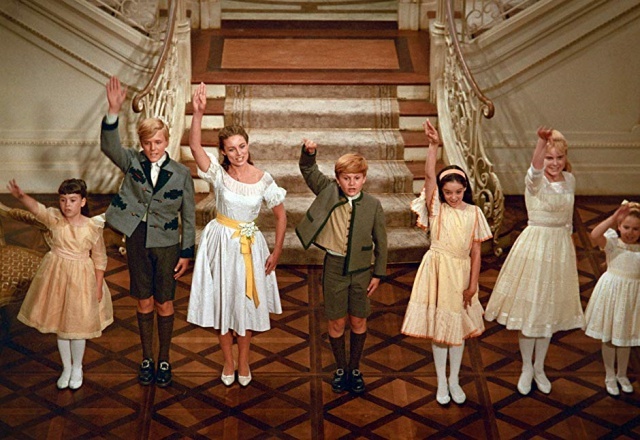 I remember thinking that the girl who played Liesl was the prettiest girl I’ve ever seen. I remember wanting to have Julie Andrews as a baby sitter when I was a child. I remember having a crush on the boy who played Friedrich, even if in real life the guy was old enough to be my father. Raindrops and Roses was one of my favorite songs when I was in grade school, so much so that my mother bought me a calculator that opened to the sound of that song. At some point I think that So Long, Farewell was also a favorite of mine. My cousins often came to visit for the summer and this movie was one of those films that we often watched together. It makes me smile when I see the kids of my cousins also growing up knowing about the movie and knowing the songs. I’ve seen videos of them singing along to music from this movie and it makes me wonder if the happy feeling I get is what my dad felt when he was sharing this movie with us and was watching us fall in love with it. A few years back I saw the special on Oprah where the cast of the movie was reunited to celebrate the anniversary of the movie (50th, I think). It was good that they were able to do that while everyone was still alive. Today, two of the kids from the film have already passed away, both from cancer. It was sad to read about their passing because these are people who have been a part of my life through this movie that made an impact with me when I was so young. There has been a revival of this movie through a live broadcast that starred Carrie Underwood as Maria. I was a little disappointed because the magic that I felt watching it when I was a child was gone from the version that was on TV. The classic is still the best version of this musical. Have any of you seen this musical? Did it make a mark on your childhood as much as it did with me?